The CCPDT is the world’s only independent testing and certification organization for dog trainers and dog behavior consultants. Part of our mission is to give dog owners a way to identify professional dog trainers and behavior consultants, and we do this through our designations. Why hire a certified dog trainer? In a phrase: peace of mind. When you start your search by looking for our certifications, you know you’ll be working with a dog training professional whose knowledge and skills are grounded in the science of animal behavior—and who has a demonstrated commitment to excellence and ethical conduct. 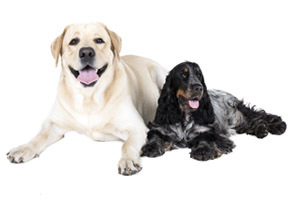 See our guidelines to choosing a dog trainer. With certified members all over the world there’s bound to be a great trainer to work with in your area!